Michael Ingelido was born on November 20, 1916, in Meriden, Connecticut. He entered the Aviation Cadet Program of the U.S. Army Air Corps on February 11, 1941, and was commissioned a 2d Lt and awarded his pilot wings at Maxwell Field, Alabama, on September 27, 1941. After completing fighter training, Lt Ingelido served in Iceland with the 33rd Fighter Squadron, flying the P-40 Warhawk and P-39 Airacobra from June 1942 to June 1943, where he was credited with 1 shared enemy aircraft destroyed in aerial combat. He then served in the U.S. until deploying to England as a P-47 Thunderbolt pilot with the 367th Fighter Squadron of the 358th Fighter Group, followed by service as commander of the 412th Fighter Squadron of the 373rd Fighter Group, from March 1944 to June 1945. During this time he was credited with the destruction of another 4 enemy aircraft in aerial combat plus 1 damaged and 16 more on the ground while strafing enemy airfields. After the war ended, Col Ingelido served as commander of the 86th Fighter Group and the 70th Fighter Wing in Germany from May 1946 to May 1949, followed by service with the Weapons Systems Evaluation Group in Washington, D.C., from June 1949 to June 1951. His next assignment was as commander of the 6520th Test Wing with the Air Force Cambridge Research Center and vice commander of the center from June 1951 to August 1954. He attended Air War College at Maxwell AFB, Alabama, from August 1954 to August 1955, and then served as director of operations for Far East Air Forces in Tokyo, Japan, from August 1955 to June 1957. Col Ingelido next served as deputy assistant chief of staff for operations with Headquarters Pacific Air Forces at Hickam AFB, Hawaii, from July 1957 to June 1959, followed by National War College in Washington, D.C., from August 1959 to June 1960. He served on the staff of the Joint Chiefs of Staff from June 1960 to July 1964, and then served as inspector general for Air Defense Command at Ent AFB, Colorado, from August 1964 to December 1965. Gen Ingelido next served as vice commander of 13th Air Force at Clark AB in the Philippines from January 1966 to November 1967, followed by service as deputy chief of staff for plans with Headquarters Air Defense Command at Ent AFB from November 1967 to August 1969. 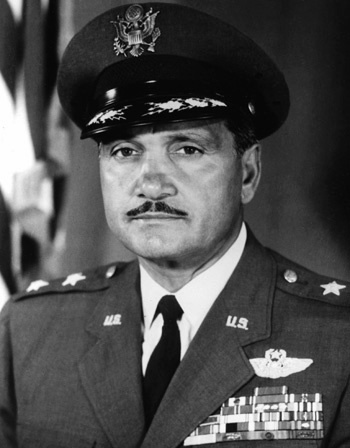 His final assignment was as commander of 14th Aerospace Force of Air Defense Command, also at Ent AFB, from August 1969 until his retirement from the Air Force on September 1, 1972. For extraordinary heroism in action against the enemy over the Brest Peninsula, 31 August 1944. On this date, having led his squadron through extremely severe weather and terrific hostile ground fire on three separate bomb runs in an attempt to destroy his target, Lieutenant Colonel Ingelido, after having had his airplane hit by enemy fire numerous times on each of the three previous runs, returned a fourth time over this heavily defended area to mark it so that another squadron might be able to deliver its attack with telling accuracy. The determination, coolness, and courage displayed by Lieutenant Colonel Ingelido on this occasion reflect the highest credit upon himself and the Armed Forces of the United States.